Remember that you are always being watched. Your kids look to you to learn who they should become. The way you talk about their teachers matter. Come to us first. We can absolutely screw up, we're human. But let's approach this relationship as the partnership it is. Talking about us on social media, in the stands while you watch your kids in sports, or even just at a local restaurant, can sabotage our important partnership. We love your kid, but we love the rest of the kids in the class too. I get it, I'm a parent. 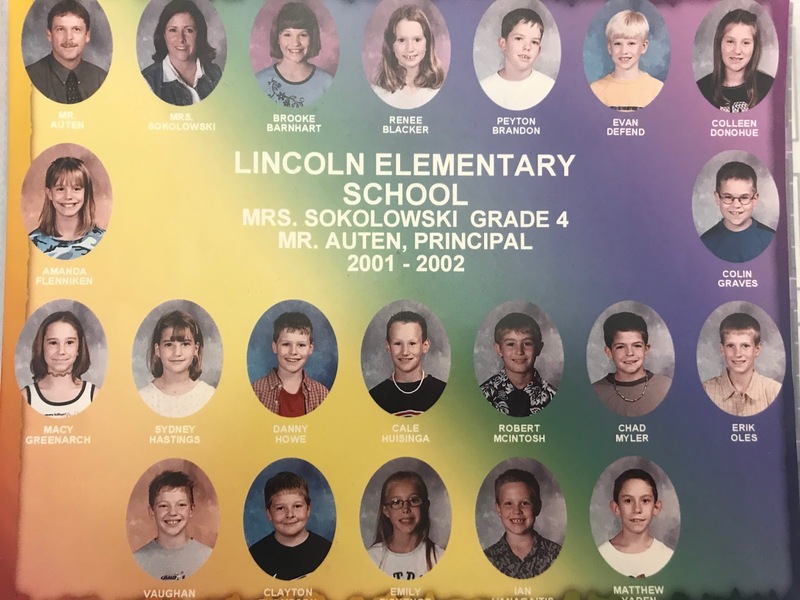 When I sent Luke to kindergarten, I wanted to pull aside his amazing teacher, Mrs. Coleman, and explain all that was wonderful about Luke, but all that worried me too. I stopped myself. Mrs. Coleman had nineteen other kids in that class. Each one of them was so important to their families, but needed to be equally important to Mrs. Coleman. As much as I'd love to give your child individualized attention all day, every day, I need to be a teacher to all of the students. I do have a life outside of the classroom. My husband will laugh if he reads this, I work far too much. That being said, I go to my boys' sporting events. I occasionally go out on a date with my husband. I do answer parent emails when I'm at home, but that isn't a requirement. If your child's teacher does, great. If they don't, also great. They've balanced the work/home life better than I have. Make your child responsible for their own learning. Long ago I decided to let my kids fail. I know, nice, right? I'd already taught for seven years by the time that Luke entered Kindergarten. I made that 100 day project in first grade all on him. If they forgot to study for a test, I didn't remind them. Lunches, band instruments, homework all left at home, I didn't get it. I figured failing at the lower grades would be good lessons. Not the end of the world, no huge lecture, just natural consequences. (Side note, the book Love and Logic taught me the majority of this.) So far, we're doing ok. My boys are not at an A+ average or anything, but they do well. They know that their grades are theirs, not mine. My value as a parent does not rest in their GPA. I try not to own their successes and failures in the classroom just as I don't make their successes and failures in sports about me. This is their life, let them figure it out while you are still their to help them pick up the pieces. It is truly ok if you don't know everything going on at school. Since moving to middle school from elementary school last year, I've talked to so many parents about this. There is less communication from the teachers, from the school. I asked why they (the parents) were struggling with that. I had an eighth grader at the time, so I knew what they were talking about, but I was curious. A lot was they were worried, they wanted to be as involved in their child's schooling as they had been. As much as I applaud their desire to be a part of their child's life, I pointed out that we are doing this in stages. A step back from the involvement in middle school, another big step back in high school, because we want them to be independent in just a few years to go to college. Hugs, parents of middle school kids. You've got this! And remember, we want to help you. If you are struggling at home with your kid, talk to us. If you are confused about what's going on at school, send us an email. I am so grateful for the parents I've worked with over the years. To say I've felt like part of their families would be an understatement. These people have my back, and always have. I appreciate them more than they know. A strong parent-teacher relationship is vital, and I wish everyone got to have that experience. Sending love to all parents and teachers as we begin the 2017-2018 school year. Parents, we are grateful every time you send that awesome email, at just the right time, to send thanks for no reason at all. You have no idea what that can do for our mood. Teachers, you are more important than ever. Reach out to the parents for help when needed. Remember why you dove into this profession in the first place. You are changing our world, one student at a time. And, on a selfish note, sending out thanks not only to all the parents of my current and former students - the ones who send me great messages, the ones who send me muffins and Starbucks, the ones who support me at home, the ones who smile and tell me they appreciate me - you all make my days, and years, so much easier. To the teachers my boys have had, thanks. You've helped me tremendously by pushing them, never letting up, and making them the people they are meant to be. So glad you've been on this journey with us. To everyone, let's make this our best year yet. I firmly believe in public education. It is the way forward, it is the great equalizer. Let's move forward together and see what we can accomplish. I am certain this will be my best year yet. There are few authors I love as much as Phil Bildner. Phil was a teacher, so he gets it. He gets how hard we work. He gets how much a note from an author can mean to a student. He gets what a positive portrayal of classroom life can mean in his books. Yep. He gets it. So I already love him for that, but then he writes this Rip & Red series and I loved it. I mean really loved it. Loved Mr. Acevado, loved the friendship between these kids. Loved that the books are just realistic fiction, hanging out at school, on your teams, and with your friends kind of books. The kind of books that each one of my students can see themselves in. That would be enough reason to love Phil, right? But then, my students started reading the books. And loving them. And they'd tweet Phil and he'd always, always, tweet them right back. We tweeted out one day that we were learning about point of view. Phil sent me a Voxer message on my lunch hour explaining how he thought about point of view as he wrote so I could share it with them. And then two boys I had in fifth grade (two years ago) tweeted him that they couldn't wait for book two, Rookie of the Year. He sent it to them via my email. They read it and told him what they thought. This year, when they entered my room as seventh graders, they (Spencer and Logan) were looking for books on the first day of school. Spenc said, "Hey, Mrs. S., what about that cool author. You know, Phil? What has he written lately?" Two years later, he still matters to these kids. There, that would surely be enough, right? But then, there's my son, Liam. Who struggled a bit to find his reading groove. Who read A Whole New Ballgame in my fifth grade class and immediately declared it his favorite book. 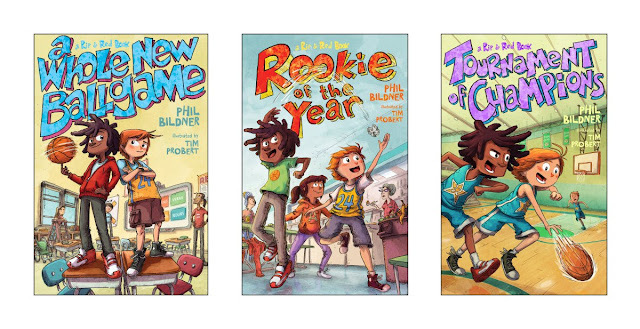 Who read the first copy of Rookie of the Year when I brought it home from NCTE in 2015. In the summer of 2016 I saw Phil's cover reveal for Tournament of Champions. I showed Liam and he flipped. He couldn't wait to read it. He tweeted Phil and Phil sent him the manuscript. Seriously? Who does that? Phil made Liam (and Spencer, and Logan, and countless other kids) feel special. Though miles away, through text messages and tweets, and -- most importantly -- his books, Phil connects with kids. So for those reasons, and a million more, I'm thrilled to share the cover of the next book in the Rip & Red series with you today...Most Valuable Players. Look for this one in the spring of 2018, which my students will tell you is way too far away. With that, let me share some words from Phil. Phil: Sometimes the universe speaks to us in wondrous ways. When Mary Van Akin, the rockstar publicity manager at Macmillan, emailed to tell me the cover reveal for the fourth book in the Rip & Red series would be on Katherine Sokolowski's, Read, Write, Reflect blog, I did a little happy dance around my living room. In the email, Mary asked me to send Katherine a few paragraphs introducing the latest installment. I told her I would the next morning, even though I hadn't given much (any) thought into what I was going to say. Fortunately, a perfectly timed Facebook message -- within minutes of Mary's email -- from Peggy Schuh took care of that. Peggy's a retired public middle school math teacher who now mentors new teachers in North Indianapolis. they have ordered the series. ound since he has one! and we think your depiction of that and the game strategy is right on! the Rip & Red series has been the highlight of my writ​ing career. It's an indescribable feeling knowing that these characters have touched so many lives. 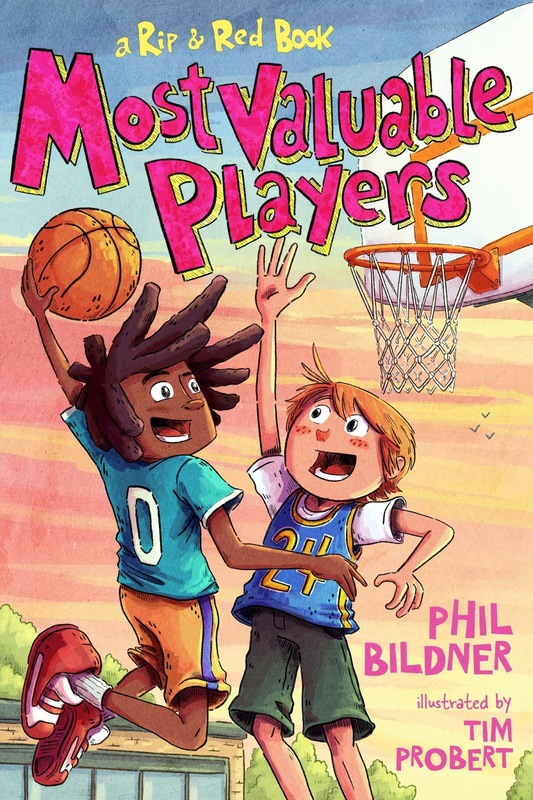 ​Book four in the series is called MOST VALUABLE PLAYERS. It will be out next May. Today, I'm thrilled to share the cover with you. Oh, in the Rip & Red books, Rip's real name is Mason. When he plays basketball, he loves doing the play-by-play. When I first read that Facebook message, I thought Peggy was referring to Rip, but she was actually referring to her grandchild, Mason. Thanks for letting me reveal the cover to the fourth book, Phil! I can't wait to show it to my seventh graders today. And friends, if you haven't experienced the Rip & Red series, remedy immediately. Much love for these books coming from my students, my son, and me. For the past few years I've taught a short research unit on the events on 9/11/01 with my students. Realizing several years ago that my current class, at the time, had only been a year old, it dawned on my that the date didn't mean the same for them as it did for me. Coupling that with the notion that some had never talked to their parents about where they had been that day, we began to learn about it together. This year's group of seventh graders just wrapped up their inquiry today. We read 14 Cows for America together and they worked on a blog around the topic of 9/11. Some wrote fiction stories taking place then, some wrote informational pieces, others shared poetry. I wrote my own poem, thinking back on these faces that I looked into on the day that shook the world. Here's my poem from today. Sending peace and love to you all. Lurk within the hearts of men. If we know where to look for them. I stood in front of a classroom. I shoved those images aside. Knowing that my role was one of calming. Went on as normal for these kids. I taught math, social studies, science, and reading. I hugged kids as they fought with their friends. I told stories from our picture books. Inside my brain was racing. I was sending them home to at 3:05pm. I knew the world had irrevocably changed. Today I had several moments that made me stop, reflect, and feel gratitude seep into my pores. My friend, Ruth Ayres, often does a weekly celebration round up on Saturdays. But, knowing Ruth, she'd say to celebrate whenever you felt moved to. Thus, today's post. I haven't had a lot of time to blog of late, so when the urge strikes, I'm diving in. Walking two dogs, separately because it is easier, is good for me and super frustrating at the same time. Thirty minutes of moving every morning is awesome. Thirty minutes when I need to be rushing to swim in Champaign, or get ready for school, can be panic inducing. However, moments like this make me grateful to be where I am. I know I need to soak this in. Teaching the same kids I taught before for two years in a row is a blessing I don't ignore. I already know these kids. I know their quirks. I know what they've liked in the past. But still, some are just now hitting their groove as readers. Today one told me they read 100 pages yesterday because they just couldn't stop. Another kid told me the book I gave her, Salt to the Sea, was so good she was recommending it to her mom. Two boys told me that All American Boys was the most important book they had ever read. Another kid turned when he heard them say that and disagreed, saying the March graphic novel trilogy was. And two boys have been quietly recommending the book Fallout to my entire first hour. Man, these kids are wicked smart. I love not planning a discussion, knowing I want to introduce them to some topic related to 9/11, show them the video/article/ book and see where they go. These kids have insights that I'd argue most adults don't have. And then, the bell rings and they don't want to leave. Today I had to remind several kids in my last class that we could talk tomorrow, that it was dismissal. Absolutely the best. I love this sport. I've loved running on my own over the years, but the stuff this sport teaches captures my heart. Liam had a meet today. He's been really striving to run his two miles in less than 20 minutes. Not easy for him, but he's tried. 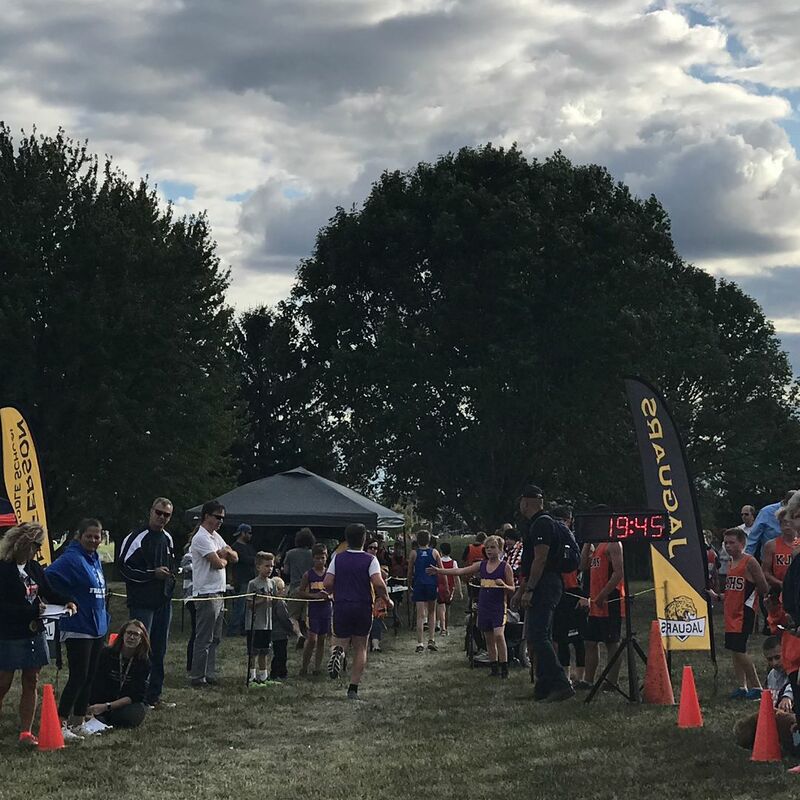 So far he's had one race at 20:46, one at 20:47. So close, but no. Today I saw him nearing the finish line. I looked at the clock. He could make it, but needed to hustle. 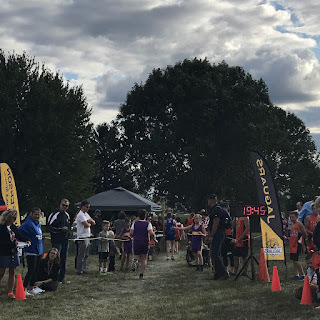 We cheered, other parents cheered, strangers cheered, and he did it! 19:44. So awesome. His pride in that time was the best. On the way home he shared that he had a new goal, below 19, and he was gunning for it this Saturday. Awesome. My kids can be a pain at times, of course, but what I truly like about them getting older is enjoying the adults they are becoming. Whether it was standing in the kitchen as we made dinner tonight talking to Luke about high school and dances, or talking to Liam about school and how he "accidentally" stayed up an hour later last night to read the last 100 pages so he could start Patina by Jason Reynolds today, my heart just grew. Watching Luke shout out to Chris that he had taken the best (and largest) ribs for himself, Chris yell back from the kitchen, while Luke and Liam burst out laughing at the table, I was filled to the brim. Gratitude. And, shout out to the lady that taught me to look for the everyday celebrations. 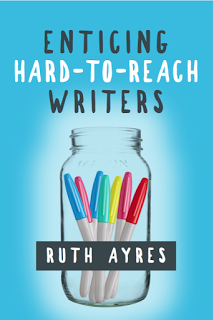 Ruth has a new book coming out and I cannot wait to read it! (Check it out HERE) She's looking at our writers and how you can reach them all - especially ones coming from a place of trauma. This will be a book you don't want to miss.